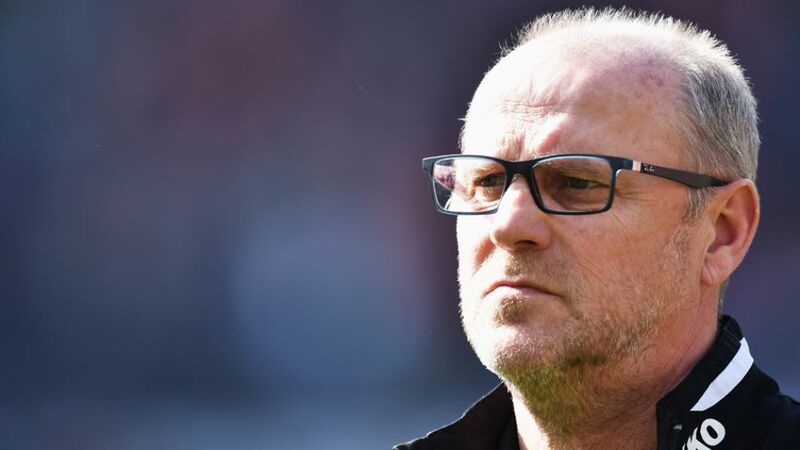 Hannover 96 have parted ways with first-team coach Thomas Schaaf. Struggling Hannover 96 relieved coach Thomas Schaaf of his duties on Sunday with the club bottom of the Bundesliga and all but doomed to relegation to the second tier of German football. Download the Bundesliga's FREE official app! Hannover’s 3-0 defeat at home to Hamburger SV on Saturday left the Reds ten points adrift of the relegation play-off place with only six games remaining. Schaaf, who picked up just three points in 11 games after being appointed successor to Michael Frontzeck during the winter break, will be replaced by Hannover's Under-19 coach Daniel Stendel. Stendel will take charge of his first training session on Monday, the day of his 42nd birthday. "It was not a decision that we made lightly," Hannover's sporting director, Martin Bader, said in a statement on the club's official website. "After a tenth defeat in 11 games, we came to the conclusion that we did not want to end the season like that, and with a change of coach, we’re trying to give a new impulse. "Of course, we know that with a ten-point deficit to the relegation play-off place, we only have a very theoretical possibility of staying up."